Blockchain is becoming an increasingly common buzzword locally, particularly within Singapore’s Fintech industry. 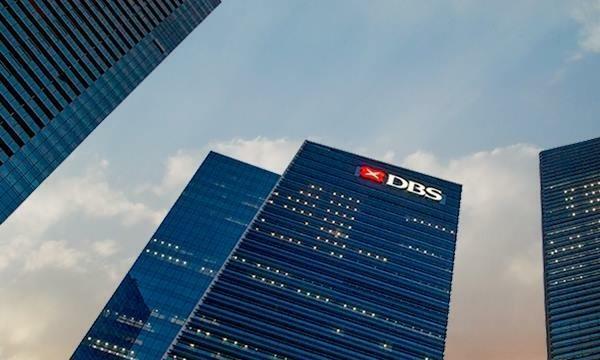 As Singapore banks positively support the rise of blockchain, what are the applications and will the trend last to attract more investors to our shores? There are several people today who immediately associate blockchain with Bitcoin. Given the nature of the technology – i.e. when a transaction occurs, everyone on the network knows about it almost immediately, and it is secure – it made sense for cryptocurrencies to adopt blockchain. But it is no wonder that it has evolved with real implications to disrupt the financial industry, which today uses other (slower) processes to keep records for asset transfers and more. It’s a known fact that the transfer of value has always been an expensive and slow process, particularly when it comes to cross-border payments. Blockchain tech is able to make this process much more efficient, while also reducing costs involved significantly. Smart contracts allow the execution of commercial transactions and agreements automatically. Just like “regular” contracts, it holds the same law and enforces the obligations of all parties involved, but without the requirement of a middleman. This means that contracts can be expedited, minus additional costs. Share trading will also soon be impacted by the blockchain. As shown by the early adoption by cryptocurrencies and the above examples, it has the potential to improve many processes within the financial sector, which includes share trading. Currently, buying and selling stocks and shares involve multiple middlemen, e.g. brokers and the stock exchange itself. Utilising blockchain gives every party a say in the validation transactions, speeds up settlement processes, allows greater trade accuracy, and again, cuts out some of the ‘middlemen’. The promise of blockchain’s success lies in its “ability to record, store and move any assets with great ease, through automation and in a decentralized manner.” PWC estimated that blockchain could potentially save between US$5 billion and $10 billion in reinsurance, thanks to improvements in placement, claims settlement, and compliance checks. So it comes as no surprise that Asian fintech investments are predicted to rise to $10.5 billion this year, driven mainly by banks and fintech startups as reported by Bloomberg. In Singapore, United Overseas Bank’s accelerator program FinLab, is making waves within the sector. Of particular interest is a blockchain proof-of-concept by company Attores, who are building a platform that has a repository of smart contracts and an application that secures the self-executed agreements. With any disruptive technology, adoption and scalability will not be without challenges. Many expect to see a demonstration of immediate value, but forget that there is a complex, legacy infrastructure that requires detangling. There are also several debates over regulations, technical issues, security concerns and more. Organizations should also put more thought into how to put blockchain technology to work – at the moment, many are barely scratching the surface. However, the reality is that blockchain is here to stay for at least the next decade. For financial institutions, the main question remains not if or when blockchain becomes mainstream – it is a question of who will be leading the way. Carl Freer is a Swedish technology entrepreneur. Carl has created and invested in multiple ventures including American company Tiger Telematics which created the handheld game console Gizmondo. Carl was also founder of Singapore-based medical-device company, Aluminaid, which makes patented metal-based bandages to relieve pain from first- and second-degree burns. Carl is also holder of several patents on various technologies. He is currently working on an Artificial Intelligence platform, developing neural networks for a variety of industries including FINTECH and O&G. During his tenure at Tiger, Freer broke ground for Augmented Reality on handheld devices by creating several AR games. He also co-created games that went on to become major franchises. Freer also founded a crowd sourcing network for filmmakers, financiers and actors called FilmFunds. He is the Chairman of the Family Tree Foundation.